We Sell, Service, & Install Most Major Brands! Just fill out the form below to schedule your FREE estimate! Someone will be in touch with you shortly. Welcome to Bob and Ray Overhead Doors! 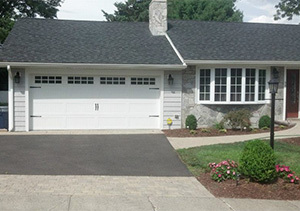 We are a full service garage door company based in Stratford, Connecticut. Since 1991, Bob and Ray have applied their combined years of experience to operate a high quality business that serves Fairfield County, New Haven County, and surrounding areas. Complete with a large showroom and high quality products and services, Bob and Ray Overhead Door Co is your choice for your next garage door project. We work with you, one on one, to come up with the best plan that works for your needs and budget. Please call us today at 203-378-6388 to learn more about how we can help you! Fairfield, CT and New Haven, CT Counties. Including Stratford, Bridgeport, Trumbull, Milford, Shelton, Fairfield, Easton , Monroe, Westport, Weston, West Haven, Orange, New Haven and all other towns and cities.